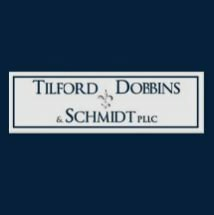 Tilford Dobbins & Schmidt, PLLC, is a Louisville law firm with regional reputation for legal excellence. For more than a century, our firm has been known for providing cost-effective, professional legal representation for businesses and individuals throughout Kentucky and southern Indiana. We advise business owners and entrepreneurs in a broad range of legal areas including business formation and financing, commercial transactions, banking and finance, employment law, taxation, real estate development, representation before regulatory bodies and litigation. We also represent individuals in estate planning, probate and family issues such as divorce. With 20 attorneys who focus on different areas of law, we are big enough to provide a depth and breadth of legal services, yet we are small enough to provide personal and attentive service. Your important legal matter won’t be handed off to an inexperienced associate who is learning on the job. Nor will you have to go through layers of assistants to talk to your attorney. The attorney you meet during your initial consultation will remain on top of your case, and you will be able to contact him or her whenever you have a question. We are conscientious in our pursuit of quality legal representation. Our goal is to deliver both the best results and the best value for our clients. The principles on which Tilford Dobbins & Schmidt, PLLC, was founded in 1901 still guide our attorneys and staff every day and with every client.